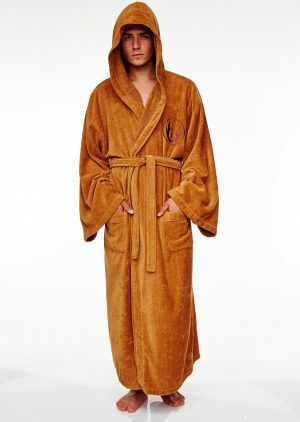 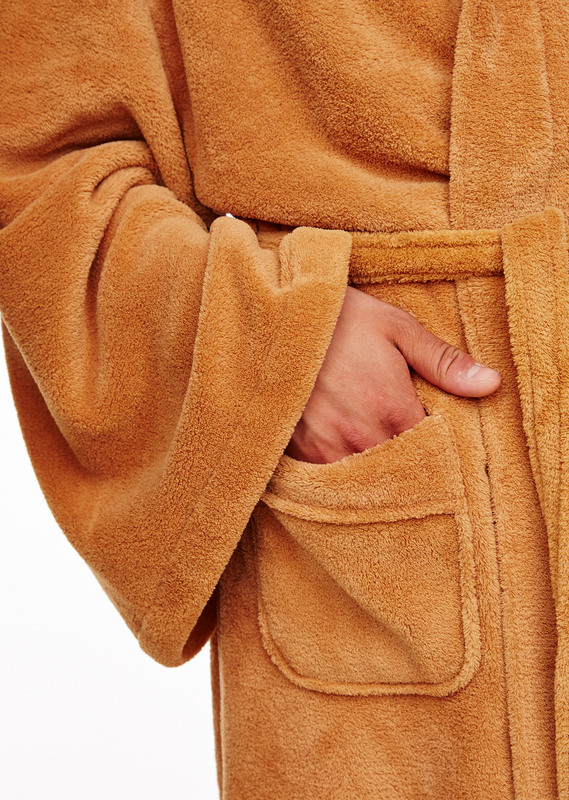 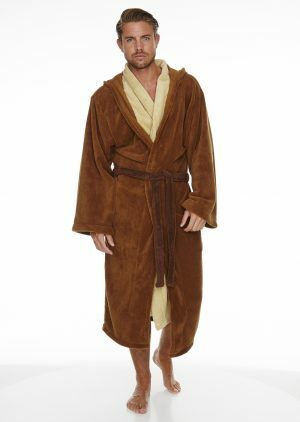 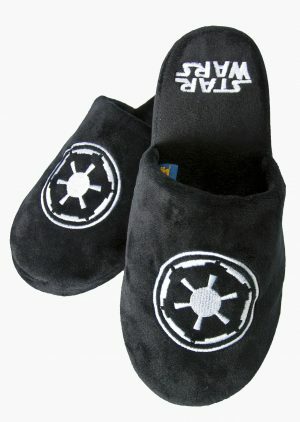 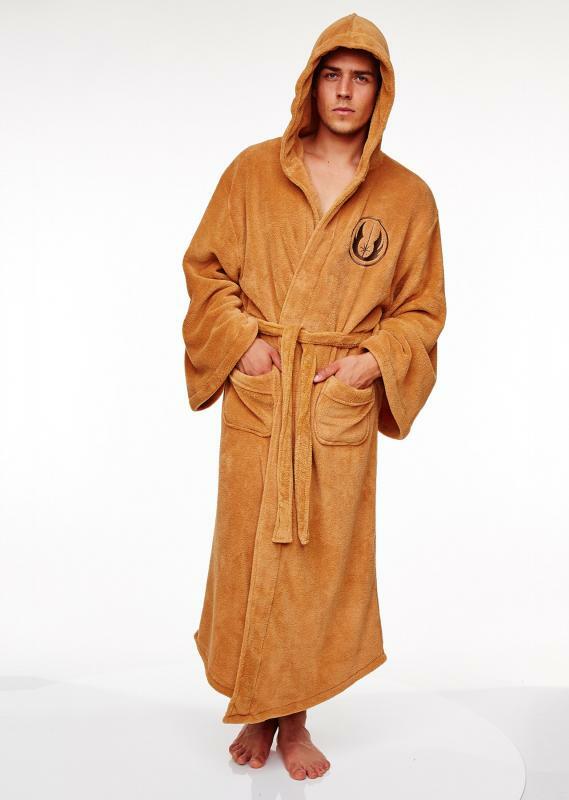 Fight the darkside with this awesome Jedi Outfit robe. 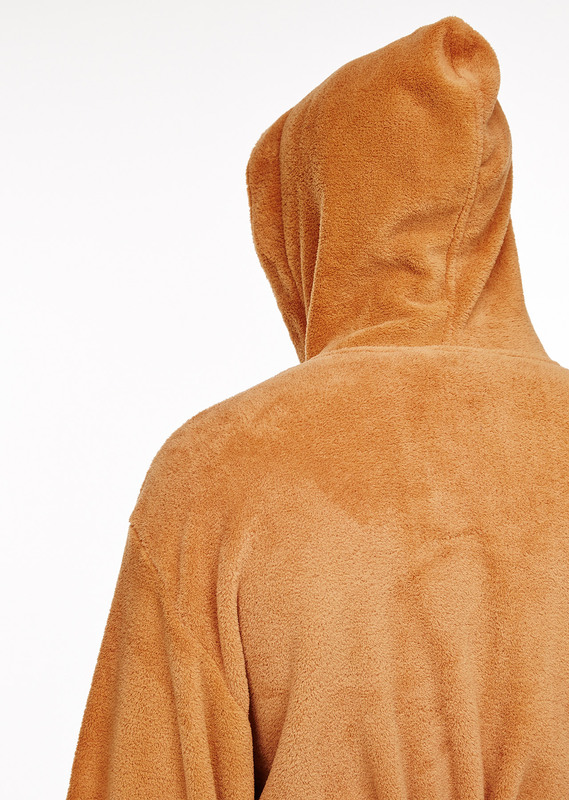 Supersoft fleece front panelling with oversized hood emulating the Jedi outfit. 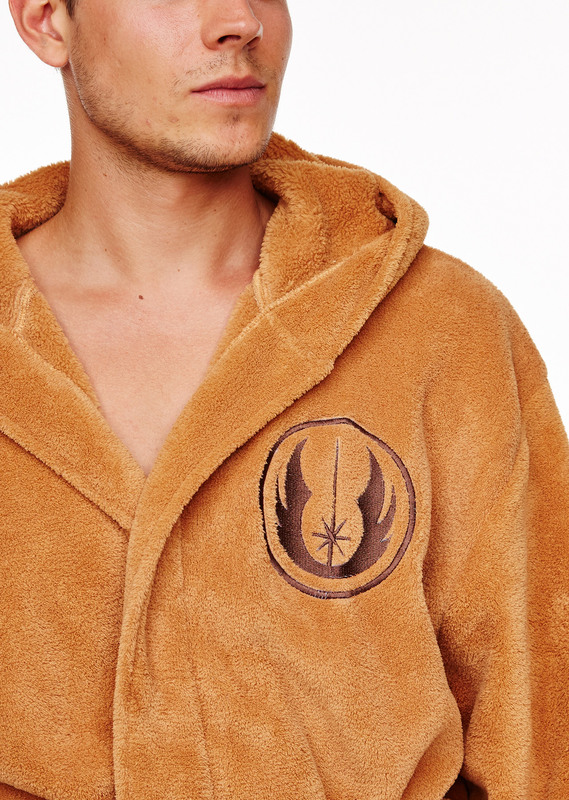 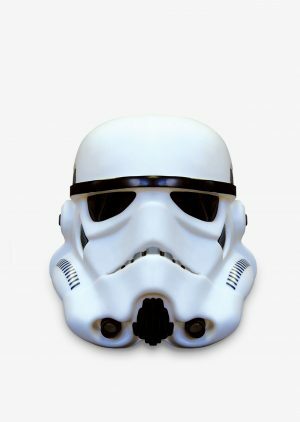 Side pockets, matching waist tie and embroidered Jedi logo. 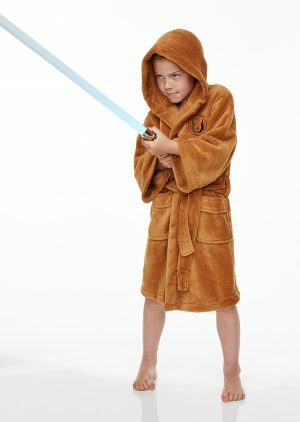 Fight the darkside with this awesome Jedi Outfit robe. 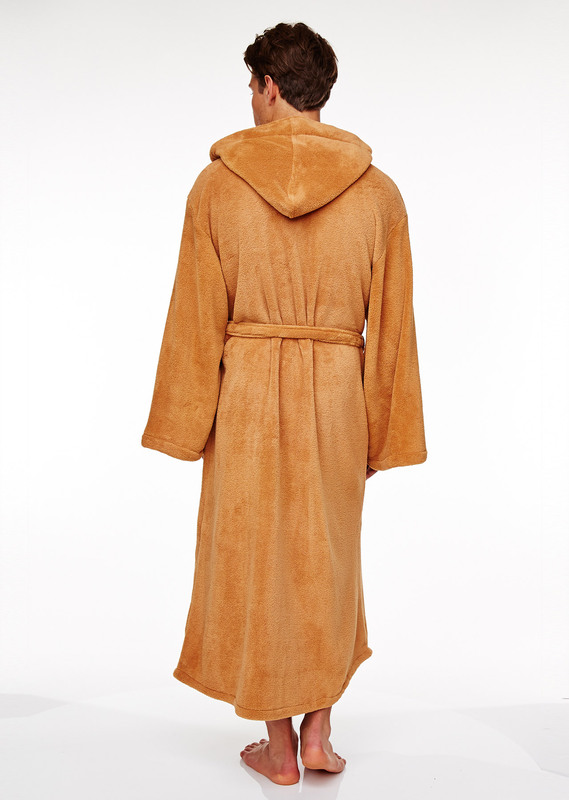 Layered cream on brown supersoft fleece front panelling with oversized hood emulating the Jedi outfit. 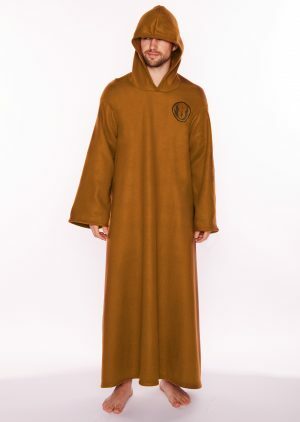 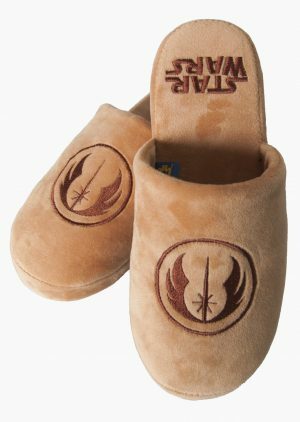 Side pockets, dark brown waist tie and embroidered Jedi logo on back.